Tonight is the last night of spring break. I feel so very lucky to have this week off–and after volunteering to direct the community garden, I needed the time. 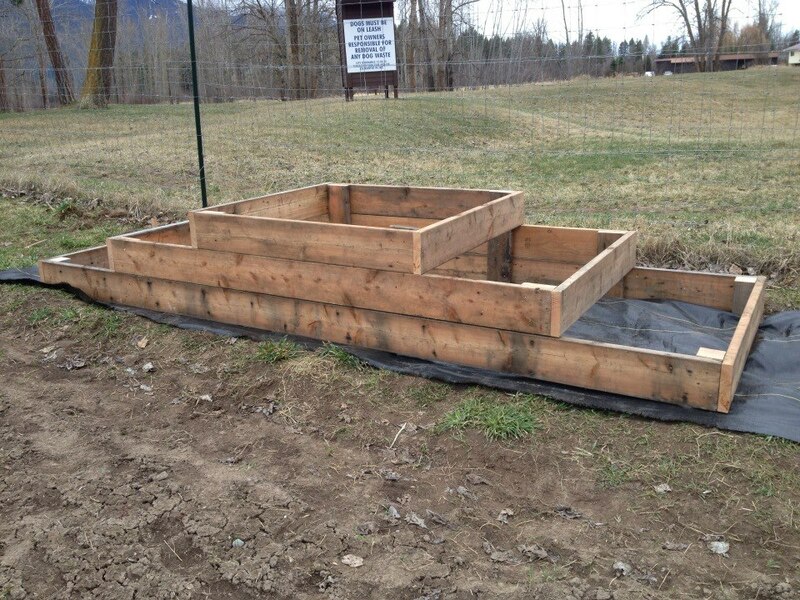 I had raised beds to set and fill and landscaping fabric to lay. We were absolutely blessed with gorgeous weather. My freckles emerged from hibernation. It was in the sixties, with blue skies and a warm sun. That is, until yesterday. The very first plot holders meeting of the season was yesterday morning at 11 am. When I went down to the garden at 9:30, it was breezy with some spitting rain. Not too bad. By the end of the meeting, it was full-on raining horizontally. We were all shivering, and I just kept talking faster and faster so everyone could go home and get warm. Still, it was a great turn out. Nearly every plot holder made it to the meeting which I (silly me) scheduled on the same weekend that the ski mountain closed. I have never seen so many people in our garden at one time. It really rather warmed my heart (if not my freezing cold and wet hands). I could already feel the beginnings of a “community”. I provided some history to the garden, handed out keys, gave an orientation to the garden and the shed, answered questions, and had plot holders sign up for maintenance duties. It was raining hard enough that the ink was running as they filled in their names. They were troopers! They need to be, to some extent. Gardening in Montana, especially in the springtime, isn’t easy. It is a constant battle with schizophrenic weather and cold nights. Still, it is a rewarding “fight” and we have been gathering the necessary weapons to be victorious (hello, extended metaphor!) We use Reemay fabric and Wall O’Waters to keep our young plants warm. We watch the weather forecasts religiously. Finally, around the fourth of July, after babying our plants, we can relax our guard and watch as delicious and healthy food grows in abundance. 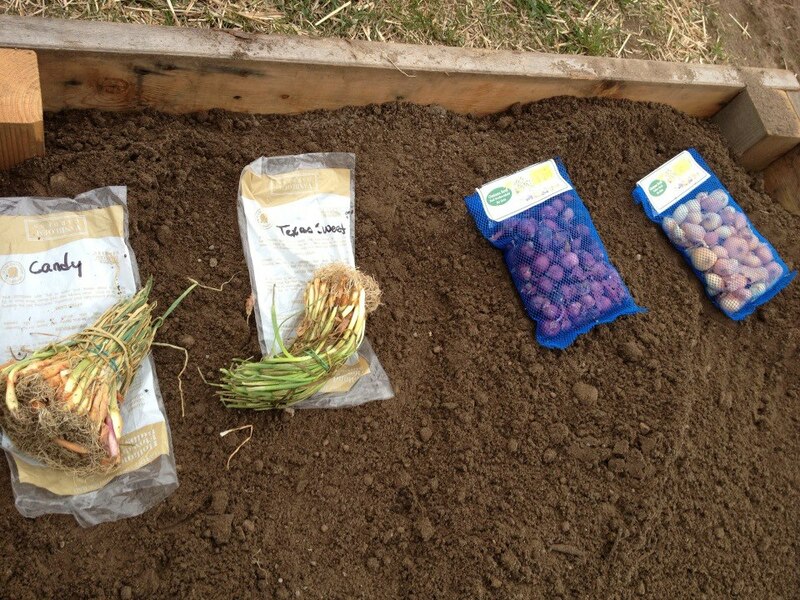 It is possible to garden in the northern climes–it just takes some trial and error, and much vigilance. And it is worth it. Trust me. 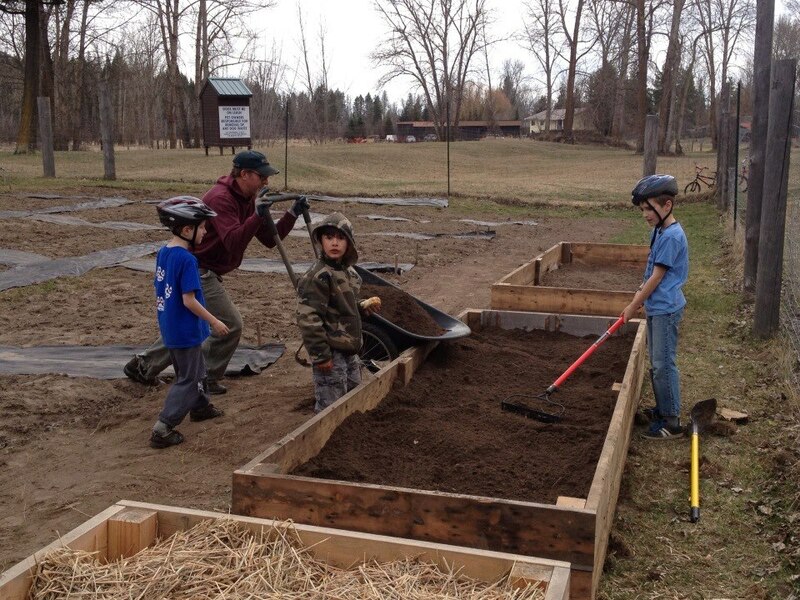 This entry was posted in Columbia Falls Community Garden, Gardening, Montana and tagged Columbia Falls Community Garden, community garden, garden, Montana, northern gardening, raised bed garden, Reemay, Spring break, wall o'waters. Bookmark the permalink.